I ate a lot of s’mores as a kid. It all started at our family’s annual summer vacations to Kentucky Lake. Later, at home, my sister and I would make them regularly in the microwave. Authentic “camp” flavor doesn’t happen in the microwave, but it was fun to watch them rise and (nearly!) explode. It probably comes as no surprise that hershey bars and jet puffed marshmallows aren’t quite my thing anymore. So, last weekend, Jack and I headed to Whole Foods where we gathered ideas and ingredients to make these fancy pants gourmet s’mores. Most of our inspiration came from the fancy chocolate aisle. I could lose myself in that section all day… So. many. pretty. packages. Jack waited impatiently while I decided which bars looked prettiest together which flavors would go best together. Truth be told, we tried to make our own homemade vegan marshmallows. It was a big fail, but these vegan homemade-like ones by Sweet and Sara are awesome. (Find them in the refrigerated section). To keep things somewhat classic, we used regular (365 brand) graham crackers. We also stocked up on fruit and a jar of Jeni’s Salty Caramel Sauce. (I never said these were going to be healthy s’mores!). Here are the combos we came up with! They were all delicious but I think our favorite was the one with strawberries & white chocolate (made with the Divine White Chocolate & Strawberries bar, pictured above). Also, be sure to check out Whole Foods website for tons of summer recipes, tips & other fun foodie ideas. roast marshmallows over a campfire (or your gas stove). This post is sponsored by Whole Foods, thank you for supporting the sponsors that support Love & Lemons! Hi! How do you add the beautiful text on each of your pictures? I create the text in adobe illustrator, then copy and paste it on my photos in photoshop. When it comes to s’mores, I still prefer the classic flavors but I could see myself using those fancy chocolates. Marshmallow in freezer section, that’s interesting and new. I’m afraid if I try these I’ll never go back to the campfire s’mores! I’m especially eyeing the salty caramel s’more, great idea. Yummmm these look amazing! I think one with dark chocolate and chopped cherries would be so delicious! I love the idea of fancy smore’s! I would definitely go the almond butter/ dark chocolate route. those sweet and sara marshmallows are delicious too. Definitely grilled peaches with a bourbon sauce. It is summer, after all. And if I went to all the trouble of grilling the peaches, I’d probably try them with Chocolove’s Chocolate Crystalized Ginger Bar too. i think using 3 ingredient peanut butter cookies as the base, really good salted dark chocolate, and homemade marshmallows, would be perfect. I would love Nutella s’mores! How about a marshmallow sandwiched in between two peanut butter chocolate cookies?!? I’d love to try crystallized ginger and grilled peaches! My idea for a gourmet s’more: 80% dark chocolate, cherry compote, and a home made marshmallow. I would try anything with dark chocolate, but I think the main thing missing here is some toffee! It would add a delectable crunch and I just love the flavor! Brilliant idea for fancy s’mores. I’d sub in minty dark chocolate for the Hershey’s squares and leave everything else the same. My favorite combo is not very exotic but it sure is delicious. Cinnamon graham crackers + dark chocolate + perfectly roasted marshmallow. Soooo good! Love all of these ideas so far. And vegan marshmallows…I’ve got to head to Whole Foods! I’m tempted to craft a s’more with dark chocolate and a dash of cayenne pepper. Maybe even Sriracha? I enjoyed a s’mores soiree last summer; my favorite fancy substitute was a Ghirardelli caramel-filled chocolate square for a plain piece of chocolate! 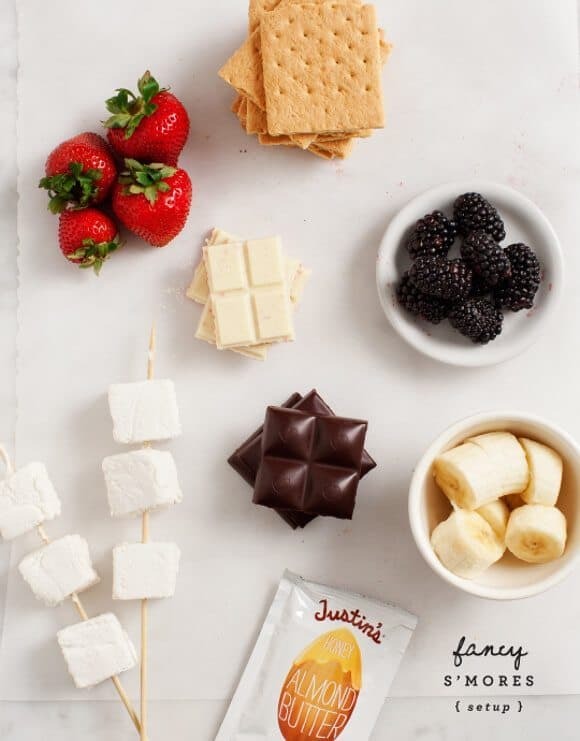 These look simply amazing and I love the s’mores mise en place! graham crackers with dark chocolate and figs. I would never have a smore without massive amounts of chocolate, so i would add in a little nutella and then also some fresh peaches, because they are delicious and i just picked some this afternoon! Those s’mores look delicious and very pretty! I would totally love one with cream cheese and strawberry rhubarb jam. Chocolate graham crackers, salted almond dark chocolate bar, crispy bacon and marshmallows. I’m thinking s’mores made with almond macaroons instead of graham crackers, with Theo salted almond bars for the chocolate (that’s my favorite thing to buy at Whole Foods :)). I love your salted caramel idea, too! I love the idea of fancy chocolate bars being included! I would do a marshmallow, chocolate-chili bar, and cherries. That stack of s’mores looks absolutely divine. Gorgeous pictures! I love using chopped up candy bars as the filling for my s’mores. Especially with coconut Sweet n Sara marshmallows! Dark chocolate, strawberry flavored marshmallows, and almond slivers. Yum!! For my favorite s’more I add peanut butter and raspberries. Oh sooo good! I would love a fancy s’more! so besides the requisite graham cracker, chocolate and marshmallow, I’d add a little crunch to the sandwich– some toffee bits, toasted almonds, and caramelized bacon crumbles. Yum! I would put grilled banana slices, dark chocolate and pb. Peanut butter and anything – fancy jams, banana/fruit, chocolate, caramel, or any combination thereof! Nutella s’mores would be great! How about a layer of Rice Crispies? Home made chocolate hazelnut butter and marshmallows! Planning on doing s’mores this week actually! How about banana, nutella and chocolate….Yum. When I get the urge for s’mores I take a chocolate chip cookie and spread chocolate icing on top and put a marshmallow on top into the microwave for a few seconds to heat up and top with another chocolate chip cookie on top! Delish…. I think a peanut butter, banana, bacon, marshmallow s’more would be delish! Maybe a banana flavored marshmallow if there is such a thing. We just got back from a camping trip where we made s’mores with dark chocolate! Delicious! I haven’t had s’mores in so long! I think I would go for the fance via the chocolate: a very dark, rich bar filled with brown butter caramel. That way you’d get to actually bite through the melty chocolate into caramel territory. 🙂 Thanks for the giveaway opportunity! These all sound delicious! I can’t pick a favorite! Dip the toasted marshmallows in Bailey’s! Yum! Dark chocolate and peanut butter s’more, with some fancy sea salt! I love the idea of nutella and strawberries with vegan marshmallows! yum! Yum! I love these classed up s’mores! My friends and I love putting speculoos and nutella on ours (Trader Joe’s carries a swirled cookie/chocolate hazelnut butter spread that is to DIE for). Substituting baked pancake squares for graham crackers for a yummy morning treat 🙂 would be a great pair with almond butter and maple glazed bananas! Um, YUM. Your creations look insane. Let’s see, to graham crackers and marshmallows, I would probably add grilled fruit, or…dare I say, a slice of cheesecake? My gourmet s’more idea is two graham cracker pieces hugging a smushed peanut butter cup and a warm, toasted marshmallow. Yum! I tend to love either rich high quality dark chocolate or a spread of whatever chocolate hazelnut butter I have around. 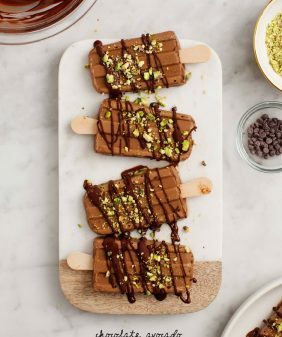 I find that when I use the chocolate hazelnut butter, I get the creamy chocolate in each bite, which I love! Maybe hollow out strawberries, stuff them with marshmallow fluff and mini chocolate chips, and sprinkle with crushed graham crackers? These look so good! My dream s’more would be turtle (w/ chopped pecans) or banana split (go crazy with toppings!). I also think a cappuccino/coffee flavored s’more would be awesome, but I’m not quite sure how to make one ;). Hmm, I guess graham crackers with almond butter, chocolate, coconut and marshmallows would be my choice for a ‘fancy’ smore. I think my fancy s’more would be grilled figs with honey drizzled all over them, dark chocolate, lightly toasted marshmallows all sandwiched between graham crackers. Nutella + caramelized banana + marshmallow! How about dark chocolate and orange marmalade smores? Or chocolate, honey and banana. How about a s’more based on slave-free chocolate? 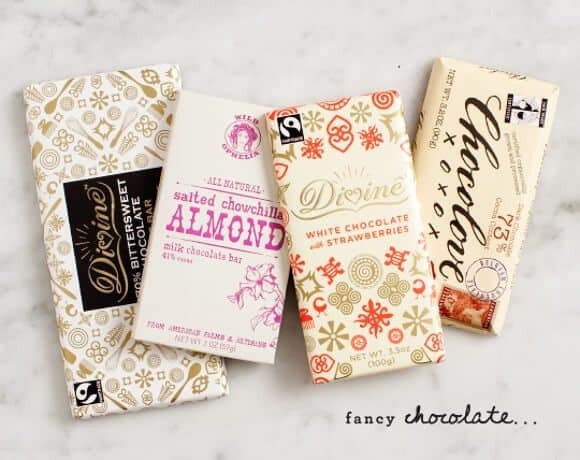 (for more info, see http://www.foodispower.org/slavery-chocolate/) Divine is one good option. Even better is Madecasse. They make a delicious toasted coconut bar that would go nicely with the marshmallow and graham cracker. I like s’mores with peanut butter on the graham crackers!! I think I’d do peanut butter & milk chocolate pretzel s’mores. Mmm hmm. I have recently read about a savory smore and it sounds awesome…cracker, tomato chutney, warmed, melty mozzarella ball. These are fancy, and I want to try them all! I’ve always wanted to make a pavlova, dripping in melted chocolate and crushed graham crackers. The cloud-like meringue speaks so well of toasty marshmallows, and talk about texture heaven. And, I’m digging the smackberry. To die for. Not fancy- but I love s’mores with peanut butter cups. My fancy s’mores start with strawberry jam, dark chocolate, and marshmallows on homemade Oreo cookies (without the icing, that is). Chocolate graham crackers, cookie butter, white chocolate chips, raspberry jam, and orange mallows. Fancy s’mores are such a fun idea!! I would do some sort of ice cream sandwich combo. Great giveaway too! I love graham crackers, vegan marshmallows, raspberries and salted pecans. The sweetness of the marshmallows mixed with the saltiness of the nuts and tartness of the raspberries is the perfect combination. (no chocolate required!) That, and I’m not a huge chocolate person anyway. However, you could always add a little dark chocolate and I’m sure it would be just as amazing! I’d use pretzel crisps instead of graham crackers for some salty to go with the sweet. Justins almond butter (especially vanilla) is so good too. Maybe with come caramel…ugh. Now I need smores on Monday morning. My wife made a tart with a strawberry blueberry mixture. I think the fruit mixture would be great on a Smore. I love making Chocolove Orange Peel in Dark Chocolate s’more’s! I also love a peanut butter darkchocolate s’more. We make dark chocolate s’mores on our gas stove — love it every time. The fanciest I’ve gone with s’mores is when I made my own graham crackers, chocolate, and different flavoured marshmallows. That was pretty awesome. I love using mint marshmallows with s’mores, since one of my favourite things ever is mint-chocolate! I tried to make homemade vegan marshmallows too and they were a FAIL! Ugh! My fancy smores involves peanut butter cups..yum! I think graham crackers with homemade marshmallows, caramel, pecans, and dark chocolate would be delicious! Mmm, maybe.Salted Dark Chocolate and black raspberries and marshmallow on thin almond cookies. Mmmmm. I’m a fan of dried fruit and dark chocolate. So dates and walnuts and dark chocolate on a smore sounds heavenly! Dark chocolate, pretzels, marshmallows and some caramel sauce, delicious! I think it’d be fun to have a s’more with dark chocolate, almonds, marshmallow and raspberry. Great tip about the vegan marshmallows. Thanks for sharing!! I have some left over dulce de leche from a world cup party–throwing that into the traditional mix sounds pretty dreamy. would love to try with a mixture of chocolate (dark and milk)!! or cookie butter! I love the fancy chocolate idea and the fruit! I also like to dip mine in melted chocolate on top of the chocolate inside 🙂 And flavored marshmallows would be a great idea, too! Peanut butter, marshmallow, and nutella. I was just thinking brie with the blackberries and thyme! Knowing about Sweet and Sara marshmallows could be dangerous. Crystallized ginger with almond butter might be another tasty combination. These are fantastic! I think I would like the strawberry and white chocolate the best too, but that Blackberry Smash looks so awesome. In fact, I’ll take one of each. Since I’m cooking through the national food holidays on my blog, I made my National S’mores Day (in preparation for August 10th) over the weekend. It’s basically just a s’mores dip with melted chocolate and browned marshmallows over top. This might be un-fancy but I want to try a squished, melty Rolo between the graham crackers along with the toasted marshmallow. Pipe lemon curd in raspberries then assemble, smush smores!!! 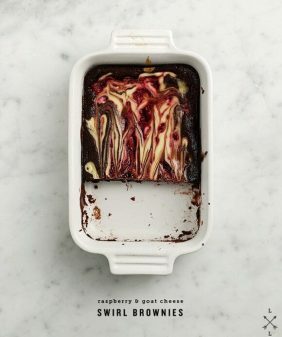 If want you can dip open side of raspberry (filled with the curd) in chocolate to cap it…never have to much chocolate. Great site!!! Thank you. Hmm! How about warm homemade cherry preserve and meringue, flavoured with almond extract, on graham crackers. I would love a graham cracker s’more with lemon curd, marshmallow, and white chocolate! i would do a homemade ice cream “smores” sandwich. Burnt sugar gelato/ice cream in the middle, between the grahams and coated in ganache then frozen. I guild the lily with my smores by adding a little salted caramel. I would do chocolate graham crackers, chocolate, marshmallows, banana, peanut butter and coconut bacon. Maybe drizzle some coconut caramel on top for balance. I like the idea of a salted caramel smore. Maybe with the addition of a crisp slice of green apple!? I think a good one would be nutella, peanut butter and banana smote with yummy mellow! I love to make smores with white chocolate with my homemade cashew “fudge” – cashew butter, cardamon with honey, chocolate, and marshmallows. I like to make my own grahams, too. Almond butter, bananas, and blackberries…I’m sold! This sounds delicious! Love all the twists on the classic favorite. I’m most pulled towards the blackberry s’more! Any rich berry with chocolate is such a fabulous combination, how can one go wrong by sandwiching them between graham crackers? My kid-at-heart- self is happy just looking at these! This is SO GREAT! The thought of wandering around Whole Foods looking for fun and interesting s’mores ingredients … oh my goodness. So fun. I think my fancy s’mores recipe would include some fancy marshmallows, chocolate with hazelnuts in it, a swirl of Nutella for good measure, and strawberries. yes?!?! I’m sooo going to have to try peanut butter! I have not been happy with any gluten-free graham crackers (need to make my own), so I’ve been using Schar shortbread cookies. I also like the chocolate to melt a little more than it does, so I stick a square of dark chocolate inside of a marshmallow, then hold it over the fire! 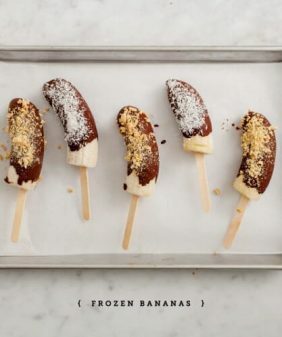 Oooh I would absolutely do a banana one – I almost said replacing chocolate with crunchy peanut butter… but I think I can fit it all on there! Great ideas and just in time. I had ordered a smores maker for the fire pit this morning. I love the idea of using good chocolate & marshmallows. Flavor-wise the only thing I might add is peanut butter. I’d make a stout-reduction syrup to drizzle on top, or in place of the chocolate! Toast the marshmallow. I like mine so it is golden brown on the outside and gooey on the inside but respect the many marshmallow toasting styles out there! Smoosh the toasted marshmallow on the chocolate and cover with the remaining graham cracker. The chocolate and marshmallow melt together and create a great taste with the banana and honey! How about shortbread with lemon curd and marshmallows? The combinations you have here are already perfect! Another option would be to spread one of the graham crackers with a thick and yummy Apricot preserve (or other jam) or try incorporating another nut butter – I think pistachios and dark chocolate would taste divine! Cinnamon Graham crackers. ..vegan mallow (toasted of course) fresh blueberries (lightly smashed), and a schmear of lemon curd.YUM! I love s’mores made with dark chocolate, homemade marshmallows, and fresh RASPBERRIES!! So yum!! The Key Lime Pie s’more: Graham crackers + Lime curd+ white chocolate + marshmallows. (It’s the summer heat here in AZ that has me crazy for limes). Just had s’mores at a family reunion and I forget how fun they are. What unique combinations – love the chocolate and almond butter combo. Yum! Grilled fruit or coconut butter might be a good addition! Simple idea: Orange marmalade and marshmallow. Like a creamsicle! Mmm. S’mores with a spicy cayenne dark chocolate bar and some cherry compote would really hit the spot right now! 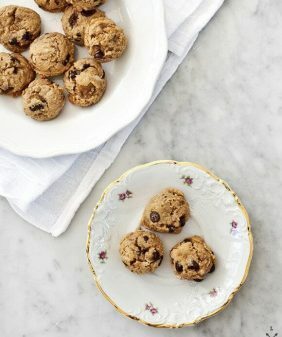 I think these would be great with Rawmio and caramel sauce made with maca and lucuma! A green apple and butterscotch sounds soooo yummy! S’mores might just be my favorite food – definitely going to have to check out those mallows! I love marshmallow and peanut butter cups! Just made a batch of cherry compote. Have a idea….. I also recently had the please of eating a homeade marshmallow on a stick, dipped in chocolate and then graham crumbs – AMAZING and portable. toasted marshmallow, coconut whipped cream, dark chocolate, dash of cinnamon, and sprinkled with crushed pistachios! I love the idea of graham cracker, chocolate hazelnut spread, and strawberries! Yum! I like to use really good quality chocolate and a smear of PB on smores. They are so messy, but by far my favorite! The beauty of s’mores is their smokey flavor, reminiscent of childhood campfires. I have learned, since I started living in New England, that one of the best complements to a smokey flavor is maple! I would advise sticking with a mellow marshmallow- like the Sweet and Sara. Then using Chocolove Almond and Sea Salt dark chocolate to incorporate salty-sweet and nutty, cinnamon graham crackers if you’re feeling extra sweet, and a sliver of maple fudge- a Vermont classic. It’s like the child of sweet summer nights and crisp autumn mornings. You can’t really make s’mores in a NYC apartment, but you can make “deconstructed” s’mores, aka chocolate fondue. That’s fancier. The person right before me said pistachios and that was exactly what I was thinking… so maybe a s’more with toasted coconut, banana and dark chocolate inside the graham crackers. Yum, all of these ideas are so great! I love the traditional s’mores but with toasted pecans and salted caramels and dark chocolate would be awesome! I love all these ideas! I think raspberries would be divine. I just love s’mores any way! Though I have had homemade marshmallows and they are divine. Love s´mores! Love, love chocolate! My fancy grown-up kinda of s´mores are a thin slices of baguette topped with any spicy chocolate (I prefer the ones with chili) and a bit of Maldon salt. Oh yum, this is dangerous. All of those that you made are so gorgeous! My dream s’more would probably include nutella, raspberries, and toasted coconut. I love the idea of nutella, bananas, graham crackers and vegan marshmallows! homemade strawberry marshmallows with dark chocolate, fantastico! These look devilishly yummy! I will not be returning to the old nabisco/hershey standbys. As a child, I used to love peanut butter with raspberry fluff sandwiches- How about a combination of vegan marshmallows with peanut butter and raspberry preserves! Mmmm, tasty nostalgia. One of my favorite combos is Nutella + fresh raspberries! Those all look amazing. I would make smores with homemade bourbon marshmallows, dark chocolate, a bit of sea salt, and graham crackers. I would make dark chocolate covered crushed coffee beans with marshmallow and cinnamon graham crackers. Hmm…what about espresso bean dark chocolate, coconut butter, and of course a vegan mallow! I have to say that I don’t think I have ever had a s’mores combo other than the traditional Hersheys and marshmallows. What a world you have opened! I could see doing something with white chocolate (my favorite) and peaches. I think that would be awfully tasty with some graham crackers. Thanks for the post! Yum – I love s’mores! My fancy s’more idea would be vanilla marshmallows (they used to sell them at WFM – not sure if they still do!) and salted caramel chocolate. Sweet and salty is my favorite combination! Dark chocolate and sea salt caramel! mmmm. delicious. what about a Java smore? chocolate covered espresso beans in with the marshmallow. white chocolate and raspberry of course. dark chocolate and cuties. chocolate hazelnut and vegan marshmallow. shortbread sugar cookies with dark chocolate..slightly burnt marshmallows are a given for each of these. I’m thinking almond bark over crushed blueberries! I am dreaming of S’Mores now! Visions of graham crackers topped with a bit of melty marshmallow, my homemade macadamia coconut butter, a thin sliced of grilled pineapple and a drizzle of raw dark chocolate (cacao and honey) to finish it all off. I bet some salted caramel would be yummy in place of the chocolate too….can’t wait to try both versions! i tried s’mores with reese’s instead of chocolate last summer- INSANE! I’ve never seen anyone tweak smores with different flavors. Love it! These are already making my mouth water! Yum! We recently went camping and made a delicious “banana split” over the campfire – while still in the peel, slice the banana down the center and stuff the opening full of mini marshmallows and chocolate chips. Wrap the entire banana in tin foil and place on the campfire grill for about 15 minutes, flipping occasionally. I think the scooped-out end product would be delicious between two graham crackers! I think a good combination for a s’more would be peanut butter, banana and marshmallow. I’m thinking strawberries and nutella for the filling would be tasty! Thanks for the giveaway! I would try banana split s’mores! Graham crackers, marshmallow, chocolate, fresh banana, and strawberry sauce! This would maybe be too crazy but I’m thinking dark chocolate with fresh raspberries and a basil balsamic reduction syrup! Would love one with a Justin’s pb cup and maybe some strawberry jam! Lemon meringue pie s’mores: tangy lemon curd, creamy white chocolate (for extra creaminess) and toasted marshmallows sandwiched between two sugared grahams. I would try coffee flavored marshmallows with a coffee bean dark chocolate bar and a dusting of cocoa powder. Maybe some how incorporate lady fingers and make it tiramisu inspired? Rather than a chocolate bar I would use some nutella, it goes great with marshmallow and maybe add some banana. How about grilled pineapple and dulce de leche with a marshmallow coated in toasted coconut? A s’more and a vacation. the Mint Mediterranean: graham crackers with fig jam, toasted marshmallow, and and mint dark chocolate! My favorite s’ more combination replaces the chocolate with a reese’s. Adding a sliced banana would be great too. Graham crackers + Reese’s + marshmallow + banana! Some lime curd and toasted coconut flakes would pair well with the graham cracker-chocolate base to make key lime pie s’mores! I’m a gf df girl, so I’d need gf graham crackers with vegan marshmallows. Caramelize plantains or bananas then toast the marshmallows… Spread natural peanut butter on the graham crackers… Put the gooey marshmallows on the crackers … Then sprinkle on cacao nibs, goji berries, and crushed peanuts to the toasted marshmallows. Then sandwich the caramelized plantains/bananas between. Not only would I be enjoying s’mores, I’d be getting a great dose of vitamins and minerals with the superfoods! My mouth is watering!!! apple and salted caramel sauce and marshmallows! Endangered Species makes a wonderful Dark chocolate bar with cocoa nibs. I’m thinking a bit of that, maybe some raspberries, smashed between honey graham crackers. (With a wonderfully toasted marshmallow as well of course!) Yours look great though! I must try! Yes, lovely! Lavender infused marshmallows + ground pistachios + dark chocolate or marshmallow + fig + milk chocolate + cinnamon. I love sweet and salty so my s’mores combination would be marshmallows, sliced bananas, a salted dark chocolate and then cinnamon graham crackers. Yum-o! I’ve made heatless s’mores simply using marshmallow fluff and nutella spread on graham crackers. I’ve taken a few tries at creating a s’mores french toast, but that’s still a work in progress. Hmmm how about a traditional s’more with bacon and a little cayenne? I’m going to make one of my original S’more pies but make it a salty almond caramel s’mores pie filled with the decadent dark chocolate. I would use lemon curd and cream cheese along with a sprinkle of coconut flakes! I’d use almond butter, dark chocolate, sea salt. We made these the other day: homemade grahams + homemade marshmallow creme + fresh blueberries + dark chocolate ganache. It was pretty dang messy and pretty dang good. These are all just lovely! I think my rendition would feature candied figs, dark chocolate, and Brie — mouth is watering just thinking about it! Ohh, I think mine would have to be lemon curd, blueberries and white chocolate. a Justin’s dark chocolate peanut butter cup and a marshmallow! simple but SO good. my idea of a fancy smores is instead of a chocolate bar, stick a whole brownie bar in there. 🙂 cause i’m a brownie addict. My idea for s’mores would be gluten-free cinnamon graham crackers, Vosges Dark Chocolate with Bacon, slice of pear, and vanilla bean marshmallow. I miss having s’mores as I can’t find a good substitute for graham crackers. I recently found out I am gluten-intolerant. Love s’mores with dark chocolate, raspberries and a little sea salt! My idea is s’mores with mixed berries (strawberries, blueberries, raspberries, blackberries), 70% dark chocolate and toasted coconut. Then add some extra melted dark chocolate drizzle over the whole thing! I’d probably squeeze in some warm chewy mochi and some green tea chocolate or kit kat yum. Amazing giveaway! I would stick some sort of candy bar in place of the chocolate…snickers or milky way would be amazing! Mmm I love the idea of a dark chocolate, peanut butter, banana s’more. Also I could see chocolate, lavender, marshmallow? Cinnamon graham crackers smeared with homemade dulce de leche, toasted marshmallows, dark chocolate, and bacon crumbles. Oh. My. Gawd. I’d love to make a banana and nutella smores! Or adding a few sprigs of fresh mint to a traditional smores. Thanks for the amazing giveaway! nutella, coconut flakes with marshmallow & graham cracker….or maybe with biscoff! I’ve never tried using artisanal marshmallows but id love that and to sub a strawberry coulis for your caramel sauce. And of course with the chocolate, the darker the better! I would try using some kind of girl scout cookie (like thin mints) instead of the graham crackers. I also like the idea of a “death by chocolate” kind of one by using chocolate graham crackers, dark chocolate, chocolate sprinkles, chocolate syrup, chocolate marshmallows, and any other chocolate thing you can think of! i think smores would be amazing with some natural peanut butter! I would do a typical s’more with graham crackers, marshmallows, and dark choclate almond bar squares + a nice addition of marzipan (“almond paste”) spread on both sides! I enjoy adding an Andes mint to my s’mores. My Whole Foods carries Sweet and Sara’s coconut marshmallows. I like combining them with a rich dark chocolate, and a slice of banana or mango. If you are really feeling ambitious, you could sub a homemade macadamia shortbread cookie for the graham cracker. although I’m a pb and dark chocolate addict, I would probably go for a smores with coconut mana, lil touch of honey, and some rasberry jam (with the seeds)!!!! How beautiful are all of these, and they sound so wonderfully delicious!! Love all of the flavors, and now I’m majorly craving a fancy-pants s’more. I would love to try your strawberry white chocolate one, but I could also definitely go for something with dark chocolate, sea salt, and caramel. there are 2 types – one was at whole foods in the baking section, near the baking chocolate (in a bag – I can’t remember what the name of the brand was), but we really loved the Sweet Sara ones that taste fresh and more homemade (in the refrigerator, near the tofu). I like making smokes with a bit of peanut butter…but cookie butter would probably be stellar, too! A Justin’s peanut butter cup in place of the chocolate! Or caramel sauce with bananas and chocolate. I LOVE the idea of fruit on s’mores! Looks amazing! My favorite fancy s’more I’ve made so far was a peanut butter cookie s’more. Using homemade peanut butter cookies instead of graham crackers, the Sea Salt and Nibs chocolate bar from Madécasse and marshmallows roasted over a campfire. It was so good. I just realized I can come up with a fancy s’more idea that I haven’t tried?! Oh! I think a tender graham cracker with dark chocolate, slice of a roasted banana and whipped peanut butter and cinnamon cashew cream. I’d use homemade bourbon-caramel marshmallows! And definitely dark chocolate. grilled banana, honey, and smoked chocolate? !?! Dark chocolate and cherries, or ginger and/or vanilla grilled peaches are combinations I would like to try! Grilled peaches would be wonderful on the S’more! Love the idea of taking it up a notch with the fruit. Love this post, having grown up eating s’mores every summer growing up have these creative options is awesome. For me I like a little dark chocolate with seasalt, almond butter, and you can’t ever forget the marshmellow (regular or vegan)! peppermint chocolate bar, graham cracker with chocolate cake frosting that has slightly hardened on it, marshmallow, and a banana slice! How about a cold-weather version–imagine the quiet winter forest and campfire reflecting off the snowy ground, as you crunch into a graham cracker topped with Armagnac-dipped marshmallows, cranberries cooked until just soft, crystallized ginger, and a strip or two of sage leaf. Nutella and marshmallow with ginger for the kids. These look delicious! Here are some ideas. Great post! Thank you for the ideas. I really like to use cinnamon graham crackers, raspberry preserves and dark dark chocolate to smoosh a lightly toasted marshmallow. No char, for me! They all sound so good! Especially the almond butter. What if you used cookies instead of graham crackers?! Too rich maybe, but also maybe delicious! I haven’t made s’mores in i-can’t-even-remember-how-long, but I think a chocolate graham cracker with the caramel sauce & white chocolate would be quite nice! Peanut butter cup with a chocolate marshmallow! I like a simple honey graham cracker (like Back to Nature) sandwiching any corn syrup free marshmallow…I’d LOVE to try these you mentioned! I always like my chocolate melted, so my favorite is to dip my s’more in Theo’s Spicy Chili Dark Chocolate. YUM!!!! I can’t wait to try your cherry chocolate too…looks so good! Hi! Love this idea! Summertime grilling and camping are some of my favorite things and I sure do love a smore! Two ideas-I would try a spicy smore-maybe with candied jalepenos. I would also go with a salty/sweet idea and add bacon and sea salt. Can’t wait to try! Happy summer! My favorite s’mores lately have been AlterEco’s dark chocolate quinoa from WF, almond butter, and banana. Even better if we can wrap them in foil and make them on the grill! These sound absolutely incredible- and thank you for the heads up on the vegan marshmallows! I could see adding dried fruit or nuts too! But peanut butter might be my fave! dark chocolate, dried apricots, honey and marshmallow! I think I’d go for a chocolate peanut butter mix! Those all sound amazing! I think I would like to try a Justin’s dark chocolate peanut butter cup, marshmallow s’more! Whole Foods would allow for endless choices! I would probably try the almond butter & banana first because that sounds delicious and our own creation would be…. raspberries, vegan marshmallows, chocolate, and a little brown sugar! Chocolate and coconut would be a yummy smore! There are so many awesome ideas here! I just got a vanilla smoke chocolate bar (Mast Bros chocolate), and that would probably be super delicious in s’more form. Or maybe a chocolate bar with coffee in it? Sort-of a decadent mocha style s’more. the elvis! a slice of banana, a smudge of pb, dark chocolate, marshmallows, and a small slice of bacon if you’re feeling adventurous! I would do banana, peanut butter, Nutella, and marshmallow or a strawberry and white chocolate flavored peanut butter (like from Peanut Butter & Co). Dates, chocolate, and bacon. I like the idea of combining dark chocolate covered pretzels with gooey marshmellows. Theo Chocolate makes these amazing coconut curry chocolate bars that we used one year for making S’mores. So. Damn. Good. These smores look better than anything I have ever seen in my life. I tell you what: You bring me these, I’ll bring the wine. Or port. Or whatever makes you happy. Yes? Diiiiivine! PS. I will also supply bourbon soaked cherries and dark chocolate. Perfect s’mores….marshmallow, graham cracker and Justin’s Peanut Butter Cup. YUM!!! I love the classic: a crunchy graham cracker, gooey marshmallow, and almost-but-not-quite melted chocolate piece. It reminds me of my childhood summers! My idea for fancy s’mores is raspberry sauce, white chocolate, and homemade marshmallows toasted to gooey perfection! Yum! I like my smores with a bit of a kick, so I like to use a chocolate that is infused with chiles. I’m thinking graham crackers, marshmallow, a square of dark chocolate, and little raspberry jam! Pretty sure I’m going to dream about these tonight. I think I’d go for an inside-out s’more–chocolate dipped Graham crackers, anyone? I’m thinking of a ‘Dark Chocolate, Caramel, & Sea Salt’ Smore’s!! Thinking about it just makes my mouth water! my goodnesss stop it Jeanine – looks fantastic! I’d try… PBJ with a banana! I like the idear of salty with it. Crushed pretzels, drizzled with carmel to help glue it all together! I love cookie butter on my smores – delish!! I love s’mores. I think you could probably mix almost anything but I would definitely put bacon on a s’more. I also love the idea of figs. Mmmm… tummy is growling now. I still love the classic although your versions look terrific! I would definitely get some fancy graham crackers or make some with a brown sugar base, then add dark chocolate (my fave), fresh almond butter and bananas! These all look delicious! I would love to do s’mores between your gluten free skillet cookies with homemade peanut butter!! s’more’s are my all time fave. Best flavor profile! I would definitely add a little nutella and shredded coconut action to the mix. I have two fancy s’more ideas I’d like to try! *Farmer’s Daughter and Big Spoon Roasters are two of my favorite local (NC) brands, which is why I would want to include them! Never tried it but a coconut, caramelized pineapple and Vosges black salt caramel chocolate bar S’more trio just popped into my head. I’d love to make s’mores with marshmallows, graham crackers, Nutella and toasted almonds. I’d call it nutty s’mores. Looks fabulous! My fancy s’more is a twist on sweet potato casserole: Replace the graham crackers with ginger snap cookies, swap the chocolate out for slice of grilled sweet potato (use dinner left overs! ), and stick it together with a perfectly roasted marshmallow! My mind keeps dancing around the idea of shredded coconut & cashew butter with marshmellow & graham crackers. And being the pistachio lover I am, I can’t help but imagine a rich dark chocolate melted over pistachios and topped with a fluffy marshmellow & graham crackers as well! Simple but delectable! Thanks for the inspiration! Most certainly making these this weekend! Gosh, those look so decadently delicious! I’d probably do a smear of cream cheese on the base graham cracker followed by the marshmallow with homemade blueberry compote spooned on top before adding the second graham cracker. I might also do a salted caramel pumpkin s’more for the fall. I’d try to make a homemade pumpkin spiced marshmallow that would be drizzled with salted caramel sauce and paired with a piece of dark chocolate all sandwiched between cinnamon graham crackers. This has my wheels spinning and my mouth drooling. I love using cinnamon graham crackers on my s’mores! It’s a nice addition to the classic flavor. But if I’m getting reallllyyy crazy I replace the chocolate with a Justin’s dark chocolate peanut butter cup! We love those Sweet Sara marshmallows! We don’t make smores often because vegetarian marshmallows are not always easy to find where we live. Because of the rarity of making them, they are normally pretty standard ones when we do. I think some raspberry jam might be a nice addition though. My mom makes this sweet potato casserole with marshmallows on top! I would love to recreate it as a s’more! And veganize it of course!! Layer honey graham cracker with dark chocolate and toasted coconut on top of roasted marshmallow. Maybe even drizzle some honey on top of toasted coconut. I would try a s’more with dark chocolate and peanut butter. I loves me some chocolate and peanut butter!! I never really considered fancy s’mores but I LOVE that idea! I think using nutella and/or Trader Joe’s cookie butter would make an awesome addition to a traditional s’more. Thanks for offering this awesome giveaway! Stuffing an apple with marshmallows and cooking over an open flame. Maybe adding some graham crumbs. Or make it savory with some Gouda cheese! Yum! It’s not fancy. It’s more like the poor man’s s’more. But it’s salty and sweet and it’s the spot every time. Saltine crackers, peanut butter, and marshmallow. My fancy s’more would have to have hazelnut chocolate with cocoa nibs and fresh strawberries! Yum! I think a peanut butter and dark chocolate version would be amazing, maybe with a touch of sea salt! Um yum. To all of this. 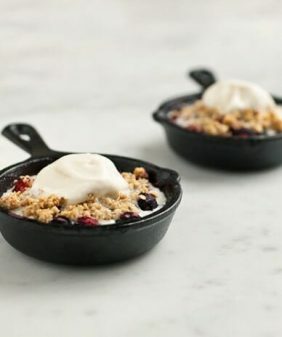 I am an Idahoan so I’d love to taste a huckleberry white chocolate s’more. Like now. This needs to happen. I love the peanut butter, carmelized bananas, dark chocolate and marshmallow combo! I’d love a combo of graham crackers, dark chocolate, toasted coconut, marshmallows and peanut butter. Yum! My fancy s’mores would have dark chocolate, peanut butter, bananas, strawberries and homemade marshmallows. yuuuumm. I’m thinking roasted peaches (roasted over the campfire of course) marshmallow, and white chocolate. I think they would be amazing on graham crackers or you could do them on some shortbread cookies!! YUMMM! I would use homemade graham crackers toasted coconut chocolate homemade caramel & homemade toasted marshmallows. All smooshed together on a crisp graham cracker yum!!! My fancy smores would be cinnamon grahams, chocolate brownie coconut butter and a little peanut butter with a vanilla marshmallow! I would do raspberries and darkdark chocolate! My idea is actually a sweet and savory smore! Marshmallow with salted brie cheese, caramel and thinly sliced green apple. I would dip the graham crackers first in melted dark chocolate or salted caramel. Then, add just about anything! Crushed mint, a dab of honey, and one of the vegan marshmallows would be divine sandwiched between two chocolate covered crackers. Yum. After adding peanut butter to the classic s’more several years ago, I’ve never turned back. Keeping with that theme, I’d step it up a notch and go with a golden roasted mallow + dark chocolate & sea salt bar + Justin’s maple almond butter. Drooling now..
A graham cracker, square of fancy chocolate, marshmallow and a bit of vanilla ice cream. I would freeze it for about 30 minutes before eating. Sounds so good! Smores with coconut cream and dark, dark chocolate would knock me off my feet! S’mores with raspberry jam, crushed almonds, dark chocolate and marshmallow! Oh my goodness, s’mores are my favorite! They have been my birthday cake of choice the last two years in a row – and these sound awesome. I make my own homemade graham crackers HUGE for giant s’mores, paired with Dandie’s marshmallows and half a bar of popped quinoa dark chocolate 🙂 but my “fancy” s’more contribution to this post would have to be something I’ve been dreaming about: two soft peanutbutter cookies with the classic roasted marshmallow and chocolate bar filling! Ohhh, I LOVE s’mores! I recently tried peanut butter on one and it was amazing. These look even better! i’ve been thinking a lot on smores lately, and these popped up in my feedly! so. good. salted caramel smores YES. i’m attempting to make some gf graham crackers today to smores it up so wish me luck! awesome that you used vegan marshmallows! i’ve got the dandies variety, but those look waaaaay cooler. I packaged the ingredients for smores in a cellophane bag tied with ribbon for my Valentines’ treats for my girlfriends – what fun ! Well, it’s nothing original, but I love to make S’mores with two chocolate chip cookies smothered with peanut butter with dark chocolate and marshmallows in between. I LOVE making’smore cupcakes- with marshmallow icing that I brulee using a kitchen torch. Crunchy peanut butter + dark chocolate + gooey melted vegan marshmallow! I love the idea of graham crackers, milk chocolate, marshmallow, caramel, and m&ms! I would definitely use vegan marshmallows and fancy chocolate. I would add almond butter for a creamy, sweet kick! Would a pumpkin-pie inspried one work? With spiced pumpkin filling and pecans held together with the marshmallow? Your blog is superb, and your photos spectacular! I never thought to add fruit to my s’mores, but next time we make them I am definitely trying blackberries or dark cherries! I like using peanut butter cups, or caramel cups, in place of the chocolate bar. And cinnamon grahams for me, please! My idea for a gourmet s’more: 99% unsweetened dark chocolate, marshmallow and fresh blueberries. I’ve never really made fancy smores, this is hard! I think it would be awesome to recreate an argentine alfajor, I’ve been meaning to make dairy free dulce de leche forever! I also think turning it into an ice cream sandwich with banana peanut butter ice cream and a marshmallow. I definitely think a bittersweet espresso cream layer is in order–cut the sweetness, but bring out the chocolate flavor. Yum. these look SO good! i would love something a dark chocolate and salted caramel for that salty sweet combo i love. These look delicious! I’m thinking dark chocolate & peanut butter! Yum! coconut flakes, caramel, marshmallows, and dark chocolate layered between shortbread style cookies (samoa-inspired)! Love my S’mores with Reese’s peanut butter cups! My favourite s’more combo is vegan marshmallows, gluten free graham crackers, crushed cashews, and melted caramel. I love the fruit idea! It looks Devine! The only variations I’ve done are use different flavored chocolate bars (I like milk with almonds) or fruit flavored gourmet marshmallows…but I think I’d like fresh fruit better! I would use dark chocolate, homemade vanilla marshmallows, and fresh raspberries. I love the idea of sophisticated smores – I might try dark chocolate, nut butter, and coconut flakes. Yum! I’m thinking that lemon curd, raspberry jam, and white chocolate would be incredible! Not sure if I am too late to contribute or not but wanted to share our recent smores creation!! We did Snickers Smores Bars!! We made with homemade cashew soft serve ice cream with a layer of honey roasted peanut butter and topped with vegan chocolate sauce. We placed the snickers first in the freezer to harden the chocolate then placed these between 2 graham crackers. YUMM!! The kids were devoured these!! i love a smoky, spicey smore that’s cooked to burnt perfection, rolled in a little cayenne and ancho chili powder and combined with super dark chocolate. We love our s’mores made with saltines, peanut butter, hershey bars and perfectly tanned marshmallows. You take beautiful and scrumptious photos. I like s’mores with McVies Digestives (cracker from UK), Cadbury milk chocolate, a gooey and well-tanned marshmallow with chopped home-roasted, lightly salted, almonds. 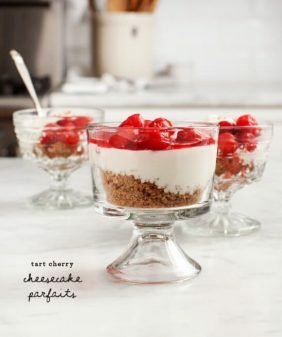 Serve with chocolate dipped strawberries on the stem. These look delicious! I love Sweet and Sara marshmallows, but I’d never tried making smores with them — they never last that long in my possession. My favorite smores are made with mini chocolate chips. Poke a few holes in the marshmallow with a skewer, fill the holes with mini chocolate chips, squeeze the marshmallow back together to seal, and roast. Voila! A perfectly toasty marshmallow with the chocolate already inside. I prefer less-sweet digestives to graham crackers. Ooooh! So many delicious possibilities! What about a dark chocolate, raspberry, marshmallow one. Or a chocolate bar w/peanuts, peanut butter, marshmallow and banana! Noms!!! Omg o.o I have no campire or gas burner or wonderful whole foods with fancy chocolate but I will make these. I will find away. Nothing can stop me.